In 1994 Gary and Marilyn Skinner founded Watoto Child Care Ministries as a compassionate response to the cry of Africa's millions of children orphaned as a result of HIV/AIDS. Currently they are caring for over 2000 Ugandan children where every child is raised in a family setting rather than an institution. 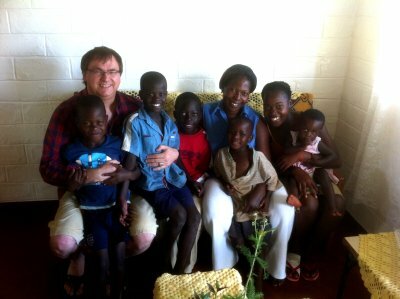 Their vision is that these children will be raised to become future leaders of Uganda and Africa. The Watoto Children's Choir tour the world annually performing "Concerts of Hope" that inspire audiences with their song and dance as they celebrate their story of hope. Watoto is a holistic care program that is positioned to rescue an individual, raise each one as a leader in their chosen sphere of life so that they in turn will rebuild their nation. 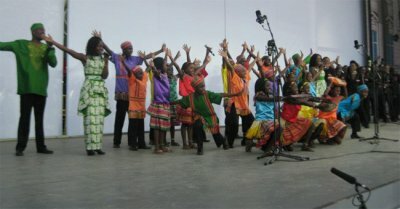 The Watoto model involves physical care, medical intervention, education, trauma counselling and spiritual discipleship. Marilyn is committed to restoring dignity to women left to bear the brunt of AIDS, war and social injustice. More than 2100 women have experienced an improved quality of life through "Living Hope" where they are equipped with necessary life skills through vocational training and empowered through income generating projects enabling them to become productive members of the community. The comprehensive psychosocial support these women receive has given them purpose, dignity, and a future. House mother, Lydia, and children Zara, Shafik, Yazidi, Haruna, Elias, Sarah, Sadat. Pictured with Sunday Line Board Member Don Winsor. Your gift to help in this valuable work is truly appreciated.